The Greek Parliament has become a political debate arena, at the two-day motion of no confidence vote that Prime Minister Tsipras has asked after the resignation of Defense Minister Panos Kammenos of the ruling coalition and the departure of his party "Independent Greeks", because rejects the Prespa agreement. Tsipras, who appealed to the Parliament for support, said it was the most rightful act and duty of MPs to support this deal, regardless of the political cost and give confidence. 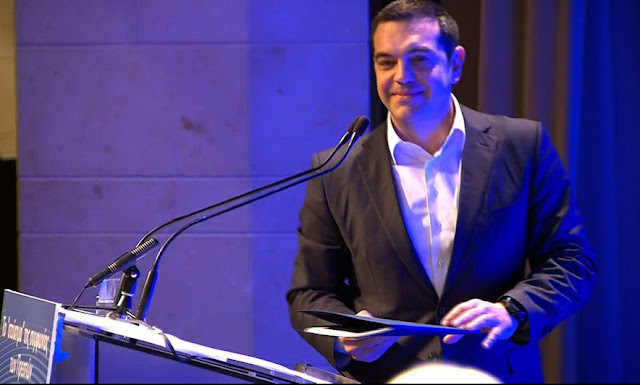 "Today, honesty and clarity I call before the Assembly, reaffirming and renewing the trust in the Parliament for this government, which brought the country out of the rescue programs, brought it out of the crisis and could open the way and perspective for the Greek people," he said. Alexis Tsipras, prime minister of Greece. "This session is a miserable show by Alexis Tsipras and Panos Kammenos, serving three goals: First give Syrizis several months to power; secondly to approve the damaging agreement of Prespa; and thirdly to ensure the presence of 'independent Greeks' in Parliament, so that their leader can continue to have political benefits," said Kyriakos Mitsotakis, head of New Democracy. If the Greek prime minister fails to win this evening, the majority of 151 votes, the country will go to early elections. Tsipras, with 145 deputies in parliament, has still the support of 4 lawmakers from the Kammenos party, an independent MP and a center-left MP. But even if he receives the vote of confidence today, seems likely to have trouble bringing the Prespa deal to Parliament for voting, since the last few hours the Potami party (The River) in retaliation for a deputy who backs the government is thinking of to not vote the agreement, changing its attitude of the last few months. Meanwhile, apart of a few small towns in northern Greece, and in the center of Thessaloniki, many stickers were seen last night with the faces of the politicians of the Syriza, Independent Greeks and Potami parties, in which they are asked: Will you betray Macedonia?